Jimmie Crawford passed away Febuary 2, 2005. 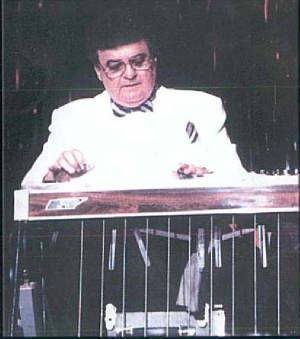 A member of the International Steel Guitar Hall of Fame. He will be missed by all who knew him as a person and those whose lives he touched with his music. The NTSGA would like to extend it's heartfelt sympathies to his wife Elsie, Family, and Friends. 2/10/05 - Elsie Crawford and family have expressed their desire for it to be posted here that they would like to say, Thank You to all who have called, sent flowers, and cards. They are deeply moved and appreciative of the concern, support, and love shown them during this most difficult of times. A complete list of available items will be listed on this page soon.